We aim to respond within 48 hours but this may vary during holiday seasons. Matt became a Christian as a teenager at a Christians in Sport camp. He studied Sports science at university and loves anything that involves running around outside. More than sport and the outdoors, Matt loves getting to know Jesus better and helping others do the same. This led him to train to be a pastor and become part of the team at CEC. Matt is married to Catherine and they have a daughter called Immy. As well as playing sport, Matt spends his time watching films and drinking coffee. He also loves Lord of the Rings and so is a big believer in second breakfast! Chris came to the South East after finishing university, joining CEC in early 2002. During the week, he works as an engineer, helping to develop new technologies for delivering video, audio and subtitles over the Internet. Chris spent a year as a CEC ministry trainee during the first year of that scheme and has led small groups for a number of years. He is also a keen musician, having played in the CEC music group for more than a decade. He is married to Jo, and they both enjoy reading and walking. Andrew and his wife Eleanor joined CEC in December 2009. Their daughter Charlotte is a member at CEC, and son Richard and daughter in law April are members of Rehoboth Baptist Church in Horsham. 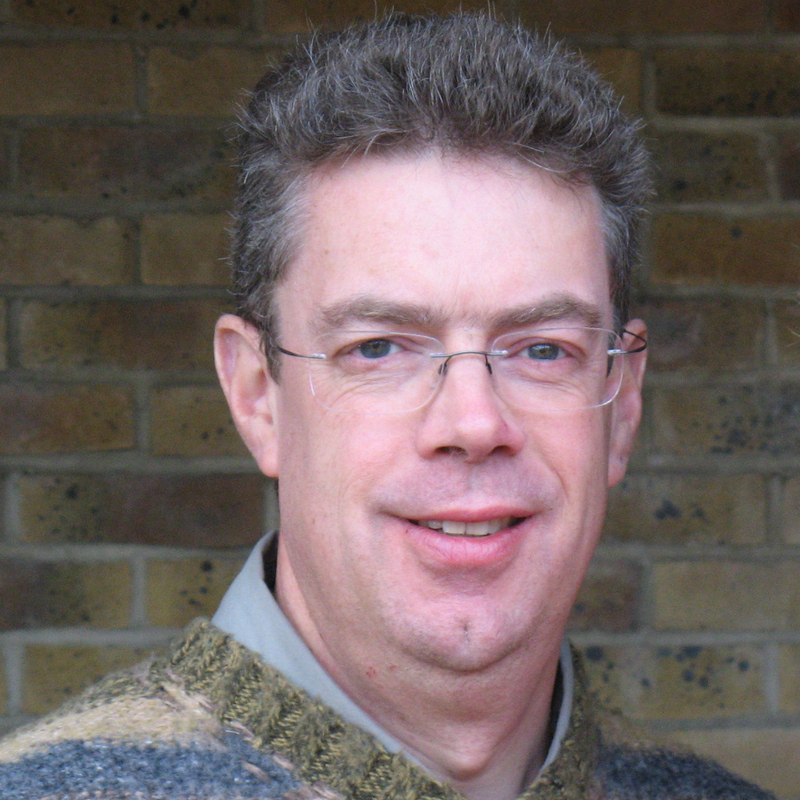 Andrew grew up in Horsham and was involved in youth work before joining a mission organisation in 1984, serving in radio ministry and then support to church workers in a number of countries. In 2000 he changed career by joining the Rural Housing Trust and since then has worked in housing development and homelessness - he is currently head of housing at Waverley Borough Council. Throughout the years Andrew has had a passion for preaching and is keen to help prepare men to preach and teach the Bible. He loves wildlife and in particular his three dogs, and is a keen railway enthusiast! Andy was converted at school in his teens so has been a Christian for a very long time. He has worked for Ofsted and was a Senior Manager within child protection in a London Local Authority. Andy now works as an Independent Consultant. Andy has been one of CEC's longest serving elders and is currently seconded to sister church Emmanuel Epsom. He is married to Maggie and they have two grown-up children and a son-in-law. Andy loves films, reading and he is passionate about music (especially Supergrass). He also enjoys taking leisurely walks with Maggie whenever possible. Bob and his wife Anna became members at CEC in 1985 after Bob moved to the area to pursue a career in the oil and gas industry. After joining the YPF team, Bob was asked to become an elder in 1989. He took a sabbatical from his work to help set-up The King's Centre. In addition to supporting two Small Groups his heart is to see the sustained development and care of staff in his role as Chairman of the HR Committee. He loves to holiday with his family cruising the highways of the USA, and spending time with his three young grand-children. Ernie is a dairy farmer's son from Northern Ireland where he met and married Karen (a GP); they have three teenage children. Within the church, Ernie is a member of the HR Committee which supports the church and King's Centre staff. He is also a King's Centre director, a director of the Surrey Care Association and a Trustee of Christianity Explored. Ernie is motor sport fanatic so if you see someone doing a hand-break turn into the King's Centre car park, it's probably him! Paul, was for many years one of the long arms of the law. Upon leaving the Police, he completed a year on the CEC ministry training scheme. Within the church, Paul has oversight of the Disability (& Carers) core team, is a Small Group leader and is part of the youth work team. He is married to Jayne (who manages our cafe) and they have two adult children. Paul loves adventure, both reading about it and in the great outdoors - however, he considers his greatest adventure to be following Jesus! John served here at CEC as Senior Pastor between 1984 & 2006. He recently came out of (a busy) retirement to help the church move forwards in this period of transition. John hails from the great city of Manchester and has spent over 45 years in pastoral and preaching ministry. John supports Manchester Utd and played league football for many years. He has been married to Pauline for 47 years and they have 3 children & 12 grandchildren. John is well known for his mischievous sense of humour: He got into trouble at school for placing a cow's ear in Janet Topham's locker causing her to faint (John says sorry Janet). He loves gadgets and actually wrote CEC’s first website! Ben joined us in 2013 from London City Mission to help equip the church to reach our neighbours with the good news of salvation in Christ. Ben is married to Emelie and they have two small boys. Gareth came to know Christ at a school CU camp and this together with time spent as a teacher fuelled his desire to get involved in youth ministry. He increasingly came to see that youth ministry needed to dovetail with work amongst parents. Appointed as Youth and Families Pastor in 2009, Gareth, together with his wife Joanna, experience the daily challenge and blessing of pastoring their own flock of four at home. Sport is his release, and he can be sometimes seen as a lycra blur cycling along the Leatherhead road. Peter is responsible for overseeing the welcome, integration and pastoral care of individuals in the church. He is also involved in promoting world mission. He met Gwyneth, a Welsh "missionary kid”, at Liverpool Uni. They have three grown-up daughters, and six grandchildren. Annie joined us from the Christian Medical Fellowship to help us reach and disciple women, who in turn reach and disciple women. Before CMF she spent 10 years at the City Church in Birmingham doing a similar role to the one here at CEC. She writes.. I am so grateful to Jesus, whom I know is the same yesterday, today and forever. And what is more, it will be by His grace alone that we, as believers, will eventually enter His presence forever. Brilliant - isn't it! David wears two hats: Appointed in 2004 as Church Manager he facilitates church life and supports the rest of the ministry team: as Centre Manager he is responsible for the day-to-day operation of The King’s Centre. Married to Heather they have 3 adult children. Nigel is the newest recruit to the ministry team but he began his relationship with CEC as a student way back in 1993. In between then and now he spent ten years in teaching before 'crossing the pond' to study at a Theological Seminary in the US. He returned to the UK to be Assistant Pastor of a church in Crawley. Nigel is pastor of CEC's sister church, Emmanuel Epsom.